The power house that might just save the Coalition government. The political climate surrounding energy policy in Australia is febrile. However, nervous and feverish excitement is hardly conducive to sensible solutions. Bill Shorten’s Labor opposition is turning itself inside out as it struggles to come to grips with the political punishment that will be meted out by voters who have already worked out that its 50% RET is guaranteed to destroy jobs with the same impunity it has destroyed South Australia’s electricity grid. Meanwhile, Malcolm Turnbull is pushing the construction of high-efficiency, low-emissions (HELE) coal-fired power plant using, in the mother of all ironies, the Clean Energy Finance Corporation to fund that move. Turnbull’s rush to embrace coal-fired power has two solid rationales: to prevent another South Australia from occurring somewhere else in the Commonwealth; and to help stave off One Nation’s looming attack on the Liberal National Party in coal-rich Queensland. Both make sound political sense. South Australia’s neighbours, New South Wales and Victoria have seen enough of what wind power can do to a once reliable and affordable power supply and, funnily enough, have no desire to end up in the same disastrous situation. In Queensland, there are thousands of workers who dig up coal; thousands of them who work in power plants fuelled by the stuff; and thousands more who work in industries fuelled by cheap, reliable coal-fired power (think mines of all descriptions and mineral processors). And they all vote. At the Federal level, the Coalition have worked out that if they do not start targeting the provision of reliable, secure and affordable electricity, all of those votes in Queensland will flock to Pauline Hanson’s One Nation party – at the expense of the LNP at the state level and, ultimately, at the federal level. Here’s The Australian’s Dennis Shanahan detailing Malcolm Turnbull’s effort to save the Coalition’s sinking ship. The Turnbull government is looking at legislation to allow taxpayers to fund a new coal-fired power station aimed at stabilising electricity supplies and cutting prices. As part of proposals for new power stations, the government is considering a power station in northern Queensland and trying to salvage the Victorian Hazelwood coal-fired plant, Australia’s dirtiest coal generator that is due to close next month with the loss of at least 500 jobs. Because of investor fears about putting money into coal-fired power plants, cabinet is examining using the Clean Energy Finance Corporation — the government’s “green bank” — to help fund new-generation, super-efficient generators as well as using gas. The move would set up a further political confrontation between the government and Labor over electricity reliability and cost, jobs and climate change after the Coalition’s two-week attack on the opposition’s 50 per cent renewable energy target. Malcolm Turnbull, Scott Morrison and Energy Minister Josh Frydenberg have indicated in the past two weeks that the CEFC could finance coal and gas power projects, saying it was a “clean energy fund” and not a renewable or “wind” energy fund. Bill Shorten said yesterday Labor was still committed to its 50 per cent renewable energy target by 2030 and declared that coal-fired power stations that were shutting down had to be replaced by renewable energy sources because “it’s not just cleaner than coal, it’s cheaper”. Cabinet has been told that the mandate of the CEFC would have to be changed from the original Gillard government definitions and restrictions to allow investment in a coal-fired power station. The previous Labor government determined that the green bank, which has already invested $1.2 billion in clean energy projects worth $3.5bn, could not invest in coal-fired generators unless there was a 50 per cent reduction in emissions from a new plant compared with an existing one. Even new-generation high­efficiency, low-emissions coal power stations cannot achieve a 50 per cent reduction without using carbon capture and storage, which the clean energy fund is also banned from financing. In the past two weeks the Prime Minister, Treasurer and Energy Minister have refused to rule out using CEFC funds for coal-fired electricity as part of the debate over blackouts in South Australia and Labor’s 50 per cent RET. Mr Turnbull said it was possible to use the green bank funds. However, senior South Australian cabinet minister Christopher Pyne this week told Adelaide radio listeners the CEFC could not fund a coal-fired power station. Cabinet has been told of the limits on clean energy funding from the CEFC. Ministers have also been told that an idea from Northern Australia Minister Matt Canavan for a coal-fired power plant in northern Queensland could be funded by the Northern Australia Infrastructure Fund but that would have little impact on electricity prices and supply in NSW, Victoria and South Australia. Electricity affordability and reliability have been the centre of political attention for two weeks after the South Australian blackouts and supplies were stretched to the limit in NSW and Victoria during heat spells. 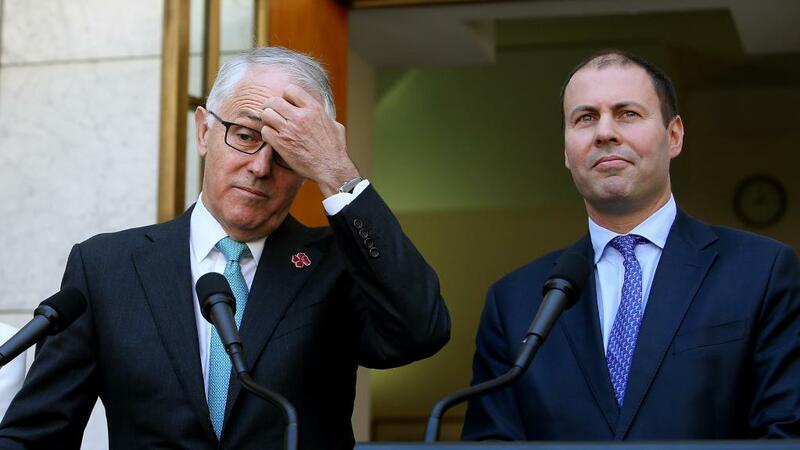 In parliament, Mr Turnbull, Mr Morrison and Mr Frydenberg have blamed the South Australian Labor government’s “reckless” pursuit of its 50 per cent renewable energy target and also attacked the federal ALP’s confusion over its proposed national 50 per cent renewable energy target. Labor frontbenchers variously described the 2030 target as “an ambition”, “an aspiration”, “a goal”, “an objective” or a “framework”. The Opposition Leader said yesterday it was “completely wrong” to say Labor was not committed to its 50 per cent renewable energy target by 2030, adding that coal-fired power stations had to be replaced with renewable energy as they closed down. “We are absolutely committed to seeing 50 per cent of our energy mix coming from renewables by 2030. That’s our target, and we’re sticking to it,” Mr Shorten said in a statement. “More renewable energy means more jobs, lower power prices and less pollution. The old coal-fired power stations are starting to shut down and we need to replace it with new energy sources. “Renewables is the answer — it’s not just cleaner than coal, it’s a lot cheaper, too. “Our renewables target won’t hurt the budget but it will boost private investment in Australia by nearly $50bn. It will push down power bills and create nearly 30,000 new jobs,” he said. “It’s about cheaper, cleaner power — and more jobs for Australians. 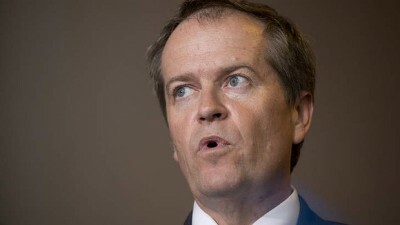 That’s why Labor will keep backing renewables,” Mr Shorten said. Earlier, Anthony Albanese said renewable energy “is now becoming the cheapest form of energy so it doesn’t require the sort of subsidies that were there in terms of the electricity market”. The bigger the lie, the more likely they are to believe it. Bill Shorten’s pitch about subsidised wind power resulting in more jobs and lower power prices taps into the delusional netherworld once occupied by that crazy little German Corporal, with the funny moustache, and his adage that “Make the lie big, make it simple, keep saying it, and eventually they will believe it.” Shorten has, indeed, made his lie big, simple and is evidently keen to keep repeating it. However, no one is likely to believe it and the foil comes in the form of two words: ‘South Australia’. As the debate about how to extricate Australia from its unfolding energy debacle rages, those two words have taken on all the accurate and destructive force of an Exocet missile. Whether targeting the lies and myths pitched up by Bill Shorten or the propaganda being peddled by the wind industry, its parasites and spruikers, protagonists need only point to South Australia and snigger. The problem for Bill Shorten and his ilk is that the results are in on South Australia’s wind power experiment. With every blackout, with every load shedding event and with every jaw-dropping electricity bill received by South Australians, comes a new legion of voters hostile to intermittent, unreliable, heavily subsidised wind power. The fundamental defect is, of course, the weather. While there are plenty of recreational pursuits ideally suited to the vagaries of the weather – kite flying, sailing, hang gliding and the like – running economies on breezes and sunshine is a whole lot trickier. In this piece, Judith Sloan has a pretty fair crack at explaining just how tricky trying to run a country on wind power can be. It’s easy to get caught up in the appeal of renewable energy. Gosh, it almost sounds free and just think of the benefits to the environment. But here’s a suggestion: whenever you read or hear renewable energy, instead use the term intermittent energy. You could also throw in non-synchronous to highlight the lack of connection between the availability of supply and when it is needed. And here’s another thing: there is a world of difference between large-scale and small-scale intermittent energy, the latter being the solar PV sitting on the roofs of homes across Australia. Even so, I get it: for those with solar panels, often oriented in the wrong direction, what’s not to love if you are saving the world as well as reducing your household electricity bill? Those generous feed-in tariffs have been such a boon for these households. At one stage, the effective coupon rate in NSW was 13 per cent, a return unachievable anywhere in the financial market. And while the concessions have been cut in a number of states, although not in Queensland, spare a thought for renters, those living in apartments, those on low incomes who cannot avail themselves of this largesse. There’s no free lunch out there and they are paying higher electricity prices to subsidise the customers with solar panels. Demand for electricity in Australia and other parts of the world exhibits strong seasonal patterns, with the peaks occurring in summer and winter. One set of peaks will generally occur in January or February on hot days when disproportionate numbers of households have their airconditioners switched on. The other set of peaks occurs in July and August, when the cold weather also leads to a surge in electricity demand. We have always had this peakiness problem to deal with, although the summer surge in demand is more recent than the winter surge. The main strategy for dealing with this has been to build a reasonably high degree of redundancy into our electricity generation systems as well as build interconnectors between the eastern states. The exact timing of the peaks is slightly different between the states — weirdly, that half-hour difference between South Australia and Victoria is quite helpful — and by sending electricity across the borders, the average extent of overcapacity is reduced somewhat. And demand management plays some role. Most large-scale users of electricity have contractual arrangements with the generators that involve them using less power during these peaks, for which they are compensated. Smart meters for households — compulsorily installed in Victoria — were meant to have an impact but it’s not clear that the promise has been realised. But here’s the rub. The shift of generation to intermittent energy has put even greater pressure on the system to cope with peaks in demand because there is no certainty that the wind will be blowing or the sun will be shining when the peaks occur. Add the high degree of intermittent energy in the state to the peakiness of demand and the potential for load-shedding, even widespread blackouts, is obvious. Once the two coal-fired power stations in the north of the state were shut down, the scope for other sources of power to take up the slack for the lack of wind power was considerably reduced. 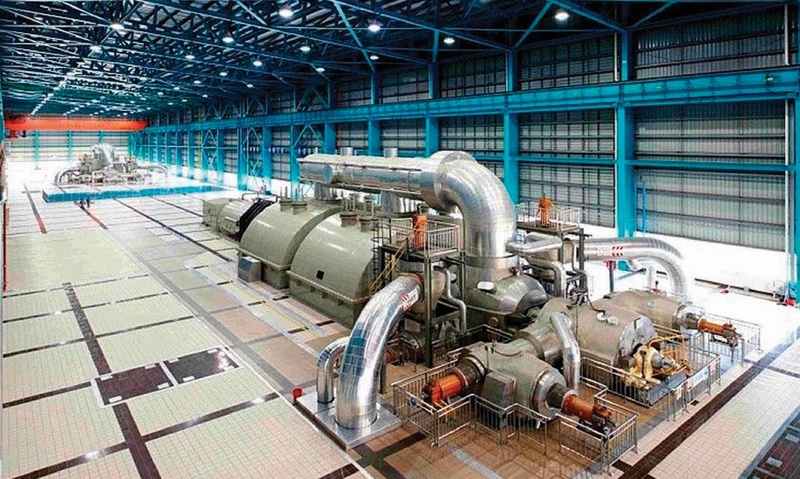 To be sure, there are gas-fired electricity generators in South Australia, but one of the plants is effectively mothballed because the owners can’t make money by having it in continuous operation. Now the devotees of intermittent energy will argue that the current problems we see with the electricity system — skyrocketing prices for households and businesses and increasing unreliability — are mere teething problems on the road to a low-emissions, decarbonised nirvana. Tweak the rules of the National Electricity Market and all will be fine. If the experience overseas is any guide — and it surely is because the laws of physics and thermodynamics do not vary between countries — the race to install more intermittent energy has required all sorts of other expensive measures to achieve reliability. For instance, so-called capacity payments for synchronous generators, mainly coal-fired, are common. These payments ensure these plants stay open and are available to generate power when the intermittent sources are unavailable. Nuclear power from France, in particular, is a help to many European countries. Germany has commissioned a series of new coal-fired generators, having decided to pull out of nuclear. And the deadline for the elimination of brown coal as a source of electricity generation has been pushed out. Britain also subsidises coal-fired generation and has controversially commissioned a new nuclear plant. If you are thinking that most of these outcomes look perverse, you wouldn’t be wrong. Governments create a raft of incentives to promote investment in intermittent energy and then have to spend a whole lot more (the costs are passed on to electricity customers) to deal with the problems of the intermittency. Our Chief Scientist maintains that large-scale affordable storage is 20 years away and Matt Ridley has written colourfully about the vast scale and dubious feasibility of storage that could convert intermittent energy into a reliable source of electricity at this stage. The bottom line is this: we have embarked on an uncharted path to insert a much higher proportion of intermittent energy into our system of electricity generation without thinking through the consequences for reliability and prices. There is no doubt the system can cope with small dollops of intermittent energy, particularly if they are dotted around the country. But we instead have most of the intermittent generation jammed into one state, and this state is at the end of the grid. The most depressing aspect of this story, however, is that things are going to get worse as the mandated renewable energy target continues to drive more investment in intermittent energy and more coal-fired generators are shut. While Labor might be a worse bet on this stuff, the government doesn’t have any answers either. It’s all very well talking about being a technology agnostic, but the RET is the opposite. And the government’s current favourite storage solution, pumped hydro, might sound intriguing but our topography, particularly in South Australia, means that this option is very limited. So hang on to your hats as electricity prices increase further and blackouts become the norm. Just don’t rely on the politicians to fix it. So Josh how do we avoid becoming an intermittent government? Needless to say I was very surprised and pleased. I haven’t seen a display of such foggy thinking as Peter Martins opinion piece for a long time: CT 23/02/17 P18 “The light bulb moment”. He apparently hasn’t heard of the Renewable Energy Target (RET) which mandates renewables be used when available in preference to any other source. Also the renewables receive Renewable Energy Certificates (REC), at present around $95 to $110 each MWh generated plus the wholesale price for the electricity sold. When you consider that coal-fired electricity wholesale price is $40 to $60 per MWh one might begin to wonder how more intermittent renewables are going benefit us. The RET is pointing us towards a future of unreliable and extremely expensive electricity, just look at South Australia’s experience. The RET, by the priority given to renewables, makes coal and gas-fired electricity non-viable driving them out of the market. Just what those suffering from the delusion that our CO2 emissions are causing catastrophic climate change want. I seriously doubt that they will be happy with the results. Lets face it, we are used to reliable electricity, aren’t we? Will you be happy with no air-conditioning on those very hot summer days, that’s when wind usually fails, as SA recently demonstrated. Batteries will probably double the wholesale cost of electricity supplied. Remember you have to pay to generate it before you can store it and batteries will receive RECs as well. Rescinding the RET is the only way to improve the situation! That would lead to cheaper reliable electricity eventually. Can you imagine the levels of noise and added pollution in suburbia when all these increasing numbers of new portable generators kick in during power grid, black or brownouts? Perhaps there’ll be appropriate new noise limits or policing applied? Would the price of diesel rise for someone else’s profit? Will we only be allowed to have electricity from the grid for an hour a day, like in third world countries, just enough to keep freezers cold, if we’re lucky? And you can only get toilet paper on Tuesdays and no matches until the next month? Just how are our taxes protecting or improving our living standards? Besides into the pockets of the developers and supporters of wind energy in the form of REC’s, green funding etc. The Government can’t simply ‘fix’ this problem nor can we or should we be made to wait twenty years for battery back-ups, (which may not ever work), to a renewable system which is broken before it starts and remains broken. The wind developers, the Regulators and the designers can’t fix the many problems of (un) renewables. Well, definitely not while the blaming continues and not while industry deceptions remain. I never mind paying extra for good quality because you know it lasts but like most people do, I resent money being wasted or blown away in the wind. Admit the mistakes, get rid of the fat cats, or fat leeches; do the right thing and rectify or completely replace this faulty system. Or be totally honest and up front, negotiate and co-operate to gain public support, just don’t blindly follow the wind industry failure at this. First you enact legislation, the RET, to kill coal. Then when that legislation works as intended and the nation’s power grid becomes an uncontrollable basket case as those despised coal plants are forced to shut down, you decide you must subsidise the very coal plants your ill considered legislation has killed. I know it’s a matter of ancient history but please just remind me again who was the bloke who played his fiddle while Rome burned? Ahh.. it comes to me it was Tunbullis Nerounious ably assisted of course by his second Seneca Frydwelliuos. Truly Lewis Carol couldn’t make this stuff up. The paradoxical irony of the “green fund” now funding “dirty coal” would be laughable if not for how catastrophically people’s lives have been effected (jobs, money, blackouts, energy poverty) by virtue-signalling climate do-gooders who now know they have really screwed up and got it alll wrong. Sack them all. Disgusting. What is no doubt conveniently sidestepped by bloated wind adorers is that these turbines have a very short useful lifespan, and to continue down the path of reliance on Wind Turbines to provide our needs we will need to be building not only more to increase the capacity but even more to replace the old ones on a continual basis. Even battery’s will need to be regularly replaced – if ever they can find out how to use them to store intermittent wind energy. Dreams of a utopia are all very well, but when someone’s dream is another’s nightmare we have to accept pie in the sky dreams are just that and ‘utopia’ means different things to different people, and come back to earth and work out what is practical and possible. We have people in our Parliaments who only see the utopian dream and are unwilling to step back from such dreaming. We have others who would like to have utopia but are more rational and realise we cannot have everything we want so are willing to work out a solution that is more practical. We have others who flow from one of the previous to the other in a flurry, getting nowhere. But what we need is for these sides to stop their dreaming’s and wake up to practicalities and start to think what OUR dreams and needs are, not only their own and stop flapping about and do something positive to get this country out of the mess they and their predecessors have got us into. Stalling is not doing anything to resolve the problems, doing nothing is prolonging the agony of the people and what they see their future as becoming – a future of debt, hardship, heartache.